After 17 years of service with the Canadian Red Cross, Cor Zandbergen was honoured with the highest award a member can obtain. Zandbergen was inducted into the Order of the Red Cross for his years of dedication to the organization Tuesday morning in Kelowna at the non-profit’s location on Adams Road. The award was given to two volunteers in B.C. this year. In 2016/2017 B.C. had about 1,900 volunteers. The 65-year-old Vernon resident spent countless hours helping with disaster relief efforts in Canada and around the world, including: Pakistan, New Jersey and Louisiana after major hurricanes. “The principles of the Red Cross is something that aligns with what I believe in, treating everyone equally no matter their race, their religion… whatever their needs are, Red Cross provides it on an equal basis,” he said. His dedication to the organization comes from viewing the world as his community. He listed Pakistan as one of his favourite deployments, where he was sent to help verify that cargo donated by Canadians actually reached the proper authorities. 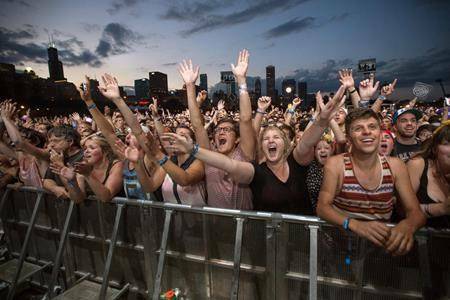 “That to me was a real privilege,” he said. Zandbergen couldn’t count the number of events he’s assisted with. Described as humble by his peers, “I’ve never really aspired to be doing this work for recognition, it’s just work as a volunteer that I really believe in,” he said. 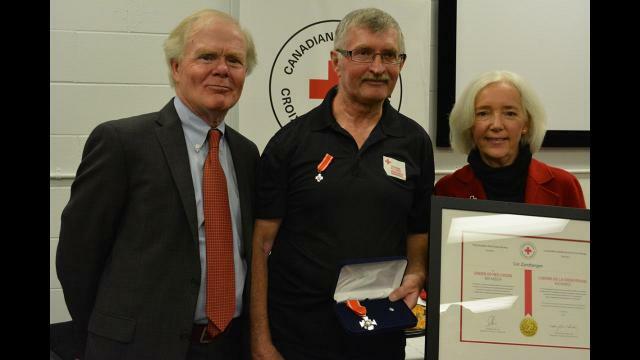 He was surprised to hear the news he would receive the Red Cross’s top honour. Zandbergen had a stroke three years ago, but that didn’t stop him from continuing to volunteer. He plays a role in mentoring new leaders in the disaster management team. Red Cross board member Gene Durnin, pinned a ribbon to Zandbergen’s chest during the celebration. “While it’s been an honour to present these over the years, it’s really a very sincere privilege to do it for this gentleman,” said Durnin. To do humanitarian work, you bring your head, your hands and your heart, and Zandbergen has all three, said vice-president Kimberly Nemrava, of the B.C. and Yukon division of the non-profit. She gave an example during the floods in the Okanagan, where Zandbergen used his instinct to help a family in need. The family had not been heard of after the flooding and when found they had no food for their children and animals. Access to get in and out of the property was also compromised. The Red Cross and local authorities were able to help. Zandbergen accepted his ribbon and gave a speech thanking his friends, family, and coworkers. His wife Cecile and son Chris were in attendance.